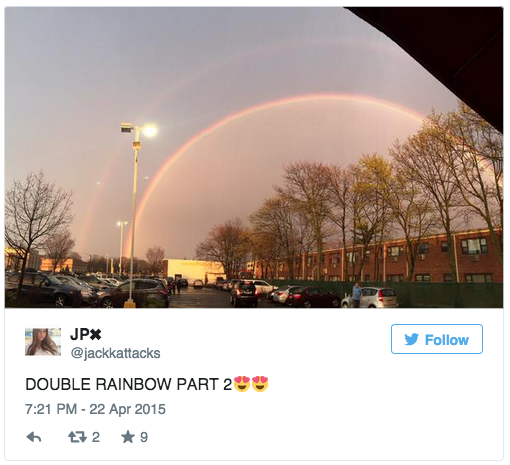 A New York woman sent the internet into frenzy on Wednesday – and brought the skeptics out in force – after she posted a photograph capturing an extremely rare quadruple rainbow with her smartphone. 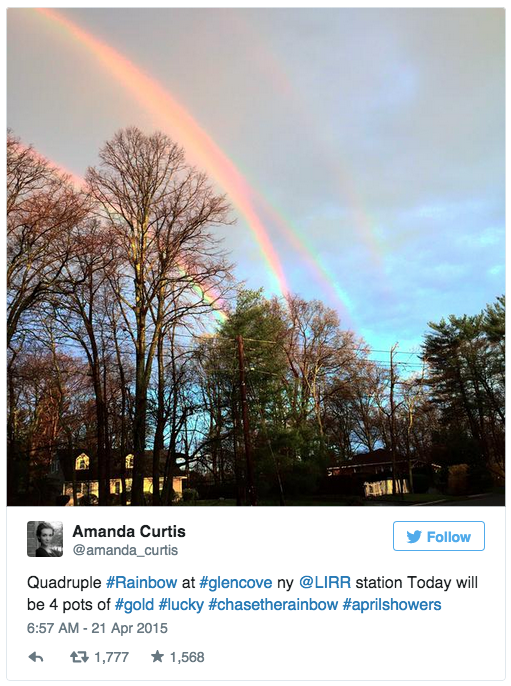 Amanda Curtis of Long Island, New York, was the lucky woman to spot the majestic sight. 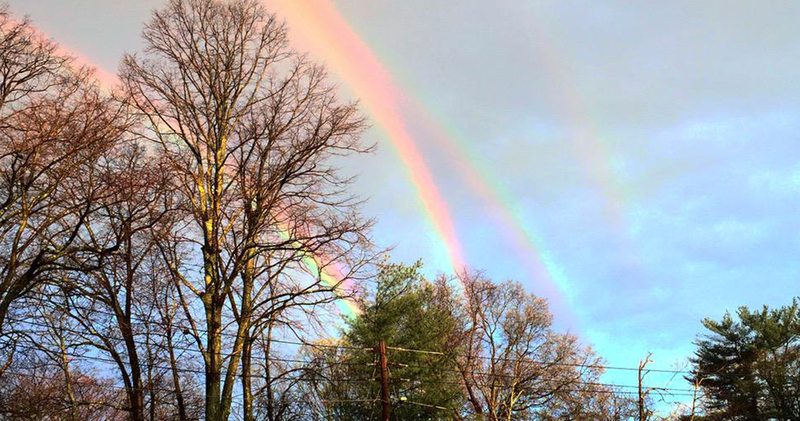 Usually people are lucky enough to see two rainbows – something that was also witnessed in New York after the rain fell on Tuesday. However, Curtis managed to double that just in time for a viral Earth Day hit. The photo quickly spread around the internet, causing many to come out and express skepticism that the image was actually real. Some say because Curtis snapped the photograph behind a pane of glass, it could have caused a reflection to take place. Others stated that it was either fake or had been doctored. However, Curtis told The Weather Channel that it definitely wasn’t an elaborate hoax, since she actually snapped the photo while standing outside – not behind glass. Another person who seemed convinced that the image was real was Paul Neiman, a research meteorologist at the National Oceanic and Atmospheric Administration. He published a lengthy explanation of the event on his Facebook page, published by the Washington Post. 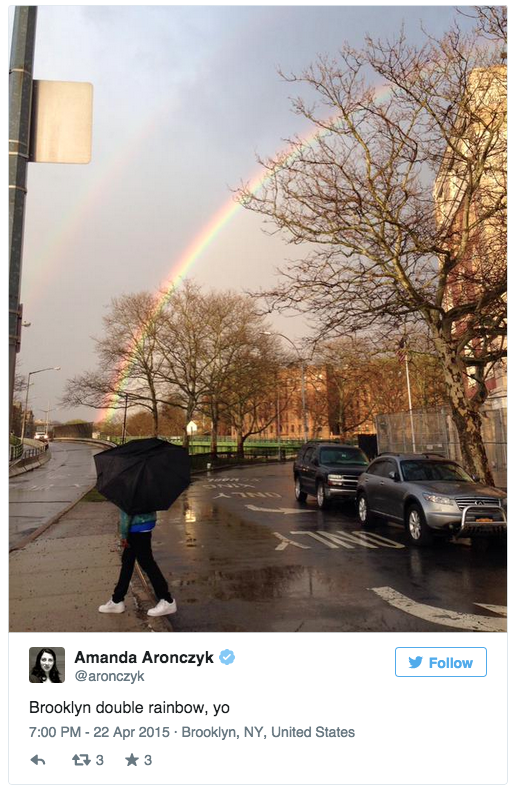 Other New Yorkers may not have caught the quadruple rainbow, but many people did post pictures of double rainbows.